Kevin Harvick is third in the Monster Energy NASCAR Cup Series points and has scored six consecutive top-10 finishes. That’s Harvick’s most consecutive top-10s since last summer, when he had eight consecutive top-10s between July 14 at Kentucky Speedway in Sparta and Sept. 10 at the Indianapolis Motor Speedway. The only difference is that last summer, during that stretch, he won races at New Hampshire Motor Speedway in Loudon and Michigan International Speedway in Brooklyn and, in 2019, his win total is zero. Harvick and his crew chief Rodney Childers are hoping to change that this week at Bristol (Tenn.) Motor Speedway. And they’ve done it before. In August of 2016, in his third season with Stewart-Haas Racing (SHR), Harvick started 24th at Bristol but led 128 laps en route to victory. He also won at Bristol while driving for Richard Childress Racing in April 2005. All told, Harvick has one pole, 12 top-five finishes, 19 top-10s and has led a total of 884 laps in his 36 career NASCAR Cup Series starts at Bristol. His average start there is 17.1, his average finish is 13.2 and he has a lap-completion rate of 97.9 percent – 17,657 of the 18,127 laps available. And his car this week will look a bit different as Hunt Brothers Pizza will be his sponsor for Bristol. Harvick will pilot the No. 4 Hunt Brothers Pizza Ford Mustang for SHR. Hunt Brothers Pizza has sponsored Harvick in the NASCAR Xfinity Series for several years and, last year, Harvick took the company to victory lane by winning at Atlanta Motor Speedway. Harvick has also won two NASCAR Gander Outdoors Truck Series races with Hunt Brothers as a sponsor at Texas Motor Speedway in Fort Worth in 2011 and at Bristol earlier that season. So Harvick and Hunt Brothers Pizza officials certainly know where victory lane is at the .533-mile Bristol oval. 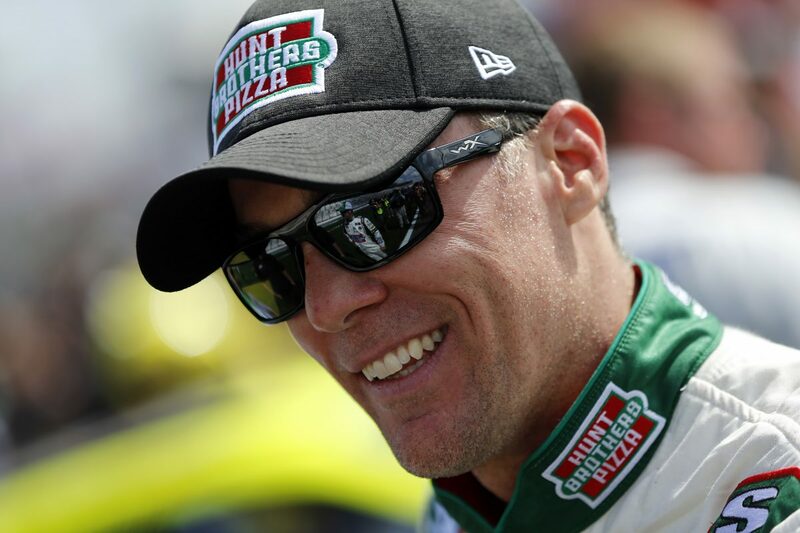 And it’s a big step up for Hunt Brother Pizza as the company has never sponsored Harvick in a NASCAR Cup Series race. It’s a “home state” race for Hunt Brothers Pizza, which is based in Nashville, Tennessee. Harvick, Hunt Brothers Pizza and the rest of the No. 4 team are hoping they can “cook up” a victory this week. Where is the balance between entertainment and competition after the changes announced last week? Is it hard to communicate inside the racecar at Bristol because everything happens so fast?